Rishabh Pant, the India wicket-keeper, broke into the top 20 of the MRF Tyres ICC Test Player Rankings for batsmen after just nine Tests, following his exceptional performances against Australia. The 21-year-old amassed 350 runs in seven innings at an average of 58.33, ending the four-match series as the second-highest run-scorer. He now has two centuries and two scores in the 90s in his nascent red-ball career. His exploits meant he rose 21 spots to take a career-best 17th rank on the MRF Tyres ICC Test Rankings for Batsmen in the latest update on Tuesday, 8 January, while reaching new highs for an Indian wicket-keeper. 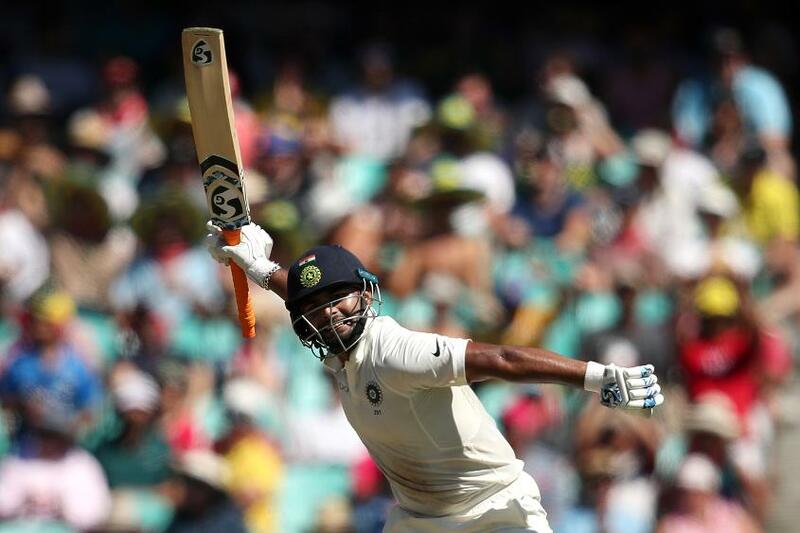 Cheteshwar Pujara, the leading run-scorer of the series with 521 runs at 74.43, climbed up by a spot to settle into the No.3 slot. With his captain Virat Kohli at No.1, it made for two Indian batsmen in the top three. Marcus Harris, a bright spot for Australia in a largely forgettable series, made a leap by 21 spots to claim the 69th position. Meanwhile, with South Africa sealing the series against Pakistan 2-0 in Cape Town with one Test to go, Aiden Markram and Faf du Plessis gained big. The opener rose to 10th (up by seven), while the South African captain was up by six to 16th. Temba Bavuma, South Africa's leading run-scorer in the series so far, jumped five places to 21 with career-best ranking points. For the visitors, Asad Shafiq (up five spots) and Babar Azam (up two spots) impressed with the bat, scaling to 24th and 25th respectively. Shan Masood, the highest run-getter for his side with 189 runs in the series so far, rose by 22 to claim No.65 with career-high points. Over to the MRF Tyres ICC Test Rankings for Bowlers, left-arm spinner Ravindra Jadeja entered the top five after his inspired performance in the final two Tests against Australia. Duanne Olivier, who was exceptional in both the Tests against Pakistan, climbed four spots to sit at No.32 with career-high points. Teenage pacer Shaheen Afridi took a large stride – 31 places – to a highest-ever No.60. Masood rose in the bowling charts as well, climbing 11 spots to No.109 in the rankings. 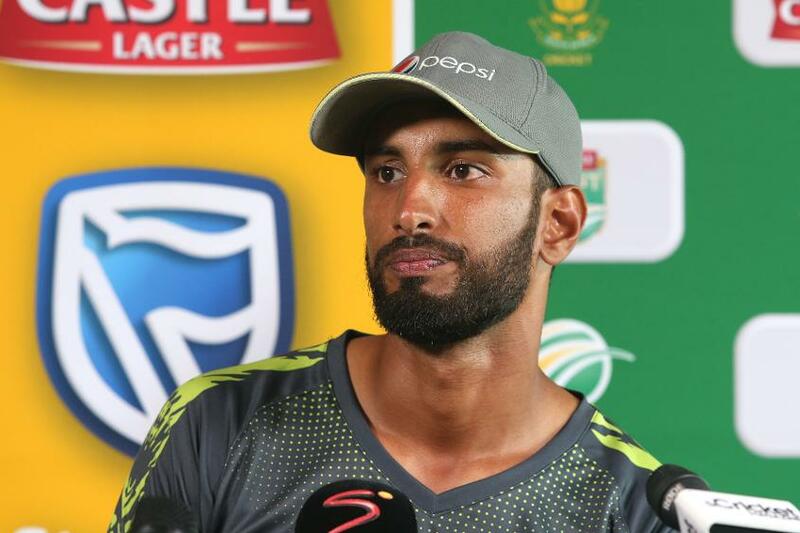 But with Kagiso Rabada retaining his top spot and Vernon Philander climbing one place to be No.3, South Africa's bowlers underlined their quality. Jadeja, who recorded a fifty and claimed seven scalps in two matches, overtook Jason Holder to become the No.2 Test all-rounder behind Bangladesh's Shakib Al Hasan.